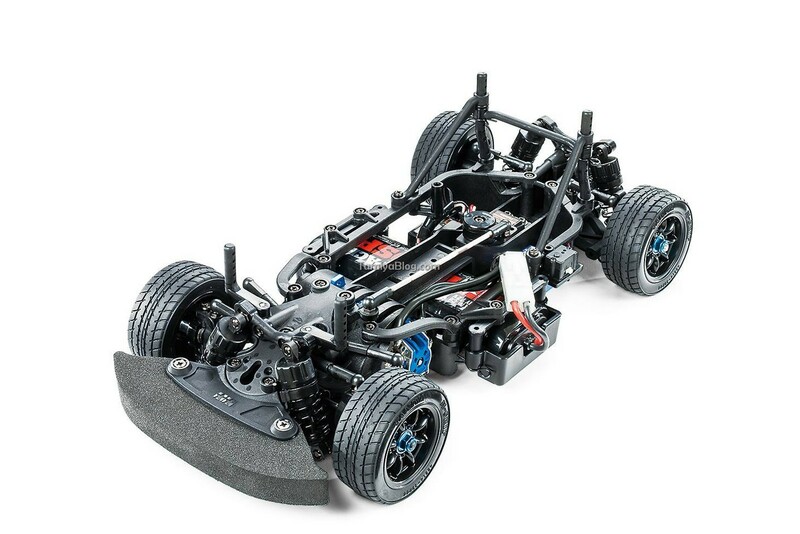 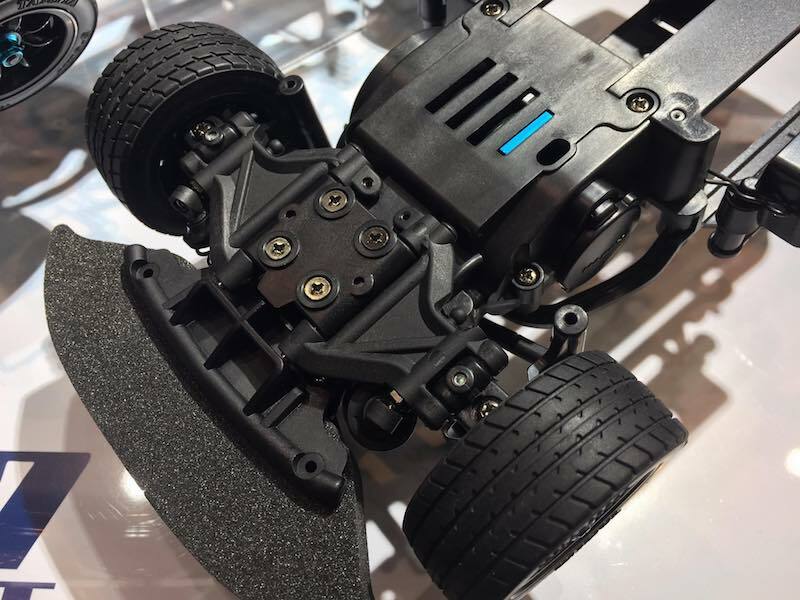 This high-performance front-wheel drive R/C chassis assembly kit is constructed around a rigid monocoque with lower deck and upper frame sections. 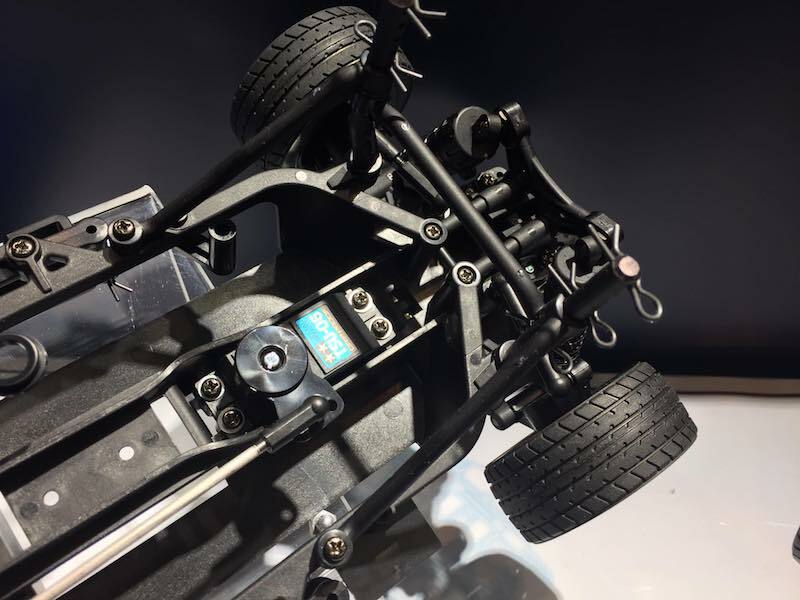 It offers responsive drive characteristics and fuss-free maintenance of parts such as the easy-access differential, which can be removed from the underside with minimal disassembly. 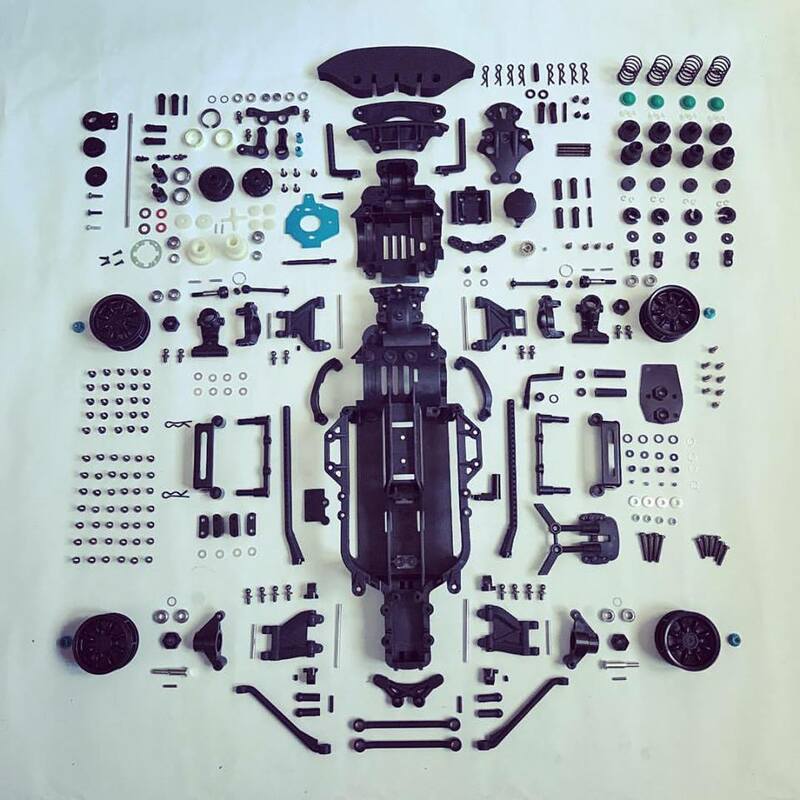 C.V.A. 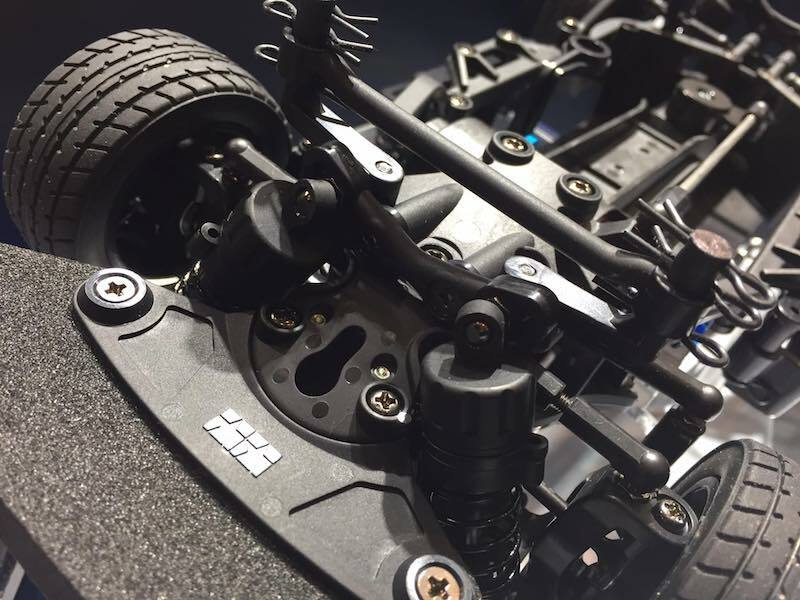 (Constant Volume Adjustable) oil shock-damped 4-wheel double wishbone suspension features dedicated long arms and steering linkage components for a range of setup options. 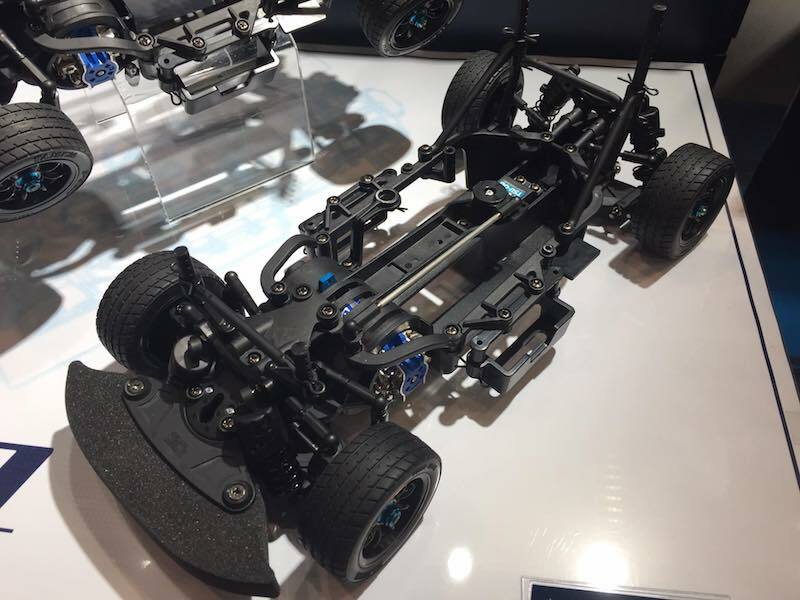 A silky-smooth drivetrain utilizes full ball bearings, oil-filled gear differential unit and universal drive shafts. 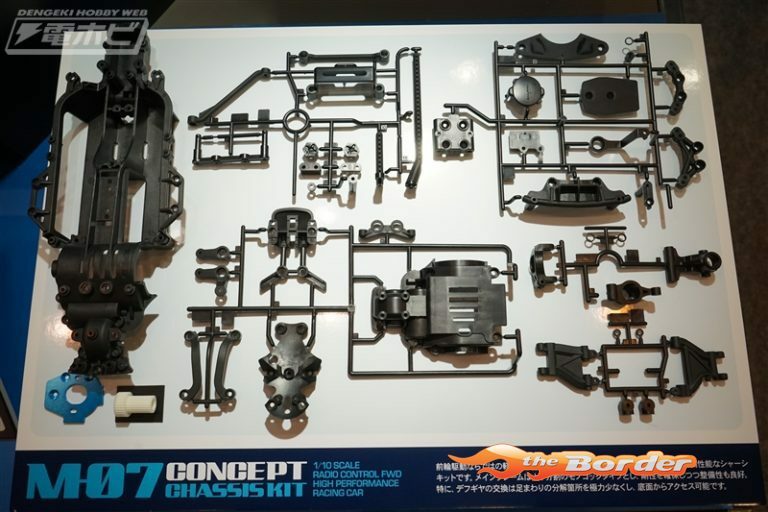 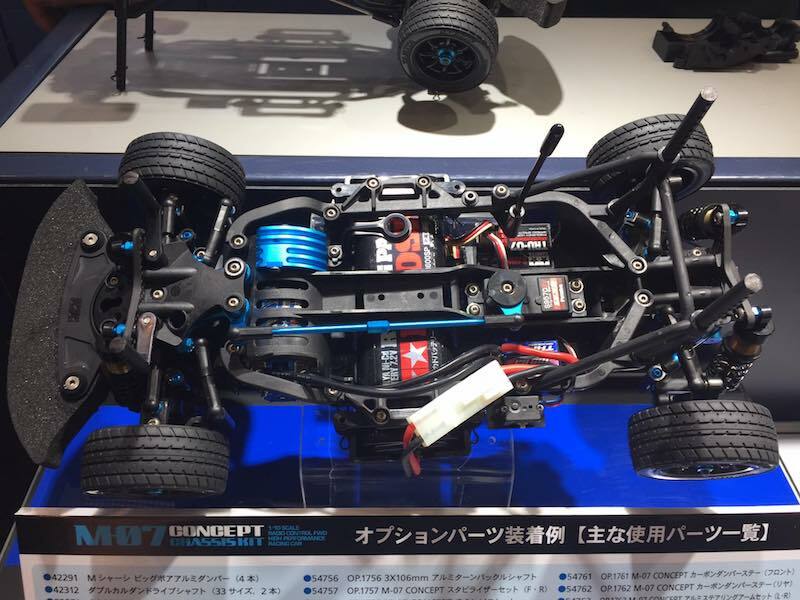 It can be assembled with a 225mm (M) or 239mm (L) wheelbase, making it compatible with appropriately-sized existing Tamiya M-chassis body parts sets. 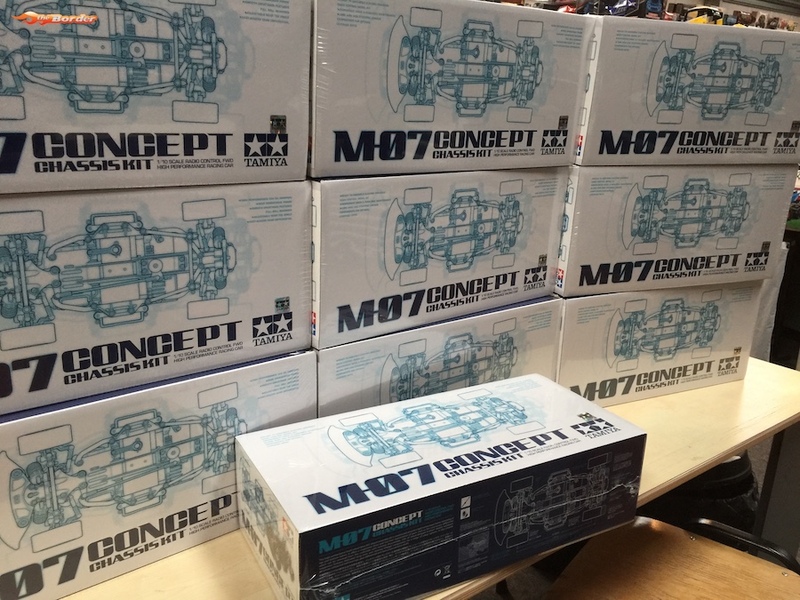 The M07 from The Border is Tamiyacup NL certified, it comes with a Tamiyacup NL Certificate (only for Dutch customers) which allows this Tamiya M07 to participe in the Tamiyacup in The Netherlands. 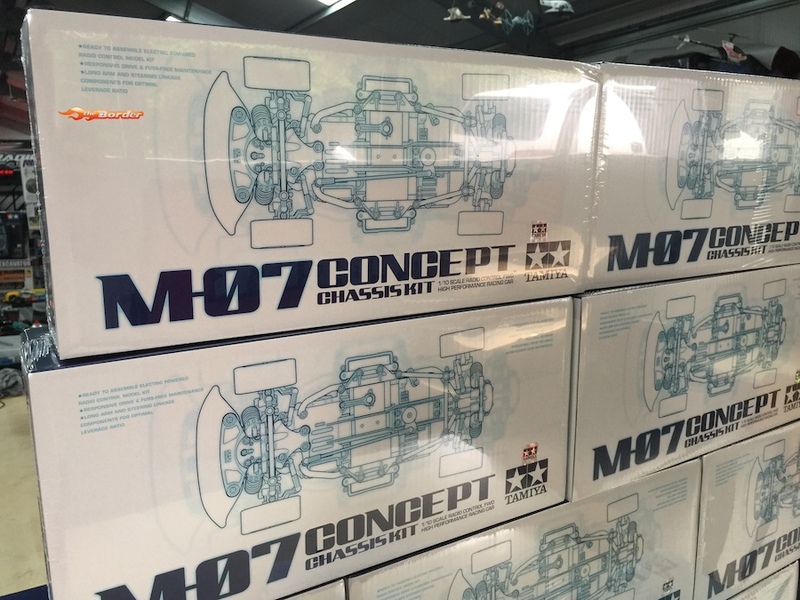 M07 kits without this certificate are not allowed to participate in the Tamiyacup NL.